Sometimes I catch myself and otherwise others give me a helpful prod but if you’re going to use the ‘creative’ moniker then that means, or at least should mean, actually making things rather than thinking and talking about the creative act. I’ll give you that pushing the button and making the image could be the creative act but for me the end product of creative has to be some tangible thing. To keep my feet to this fire I have been using my iPhone more than ever before to play and make images. I’m pairing these experiments with Artifact Uprising’s printing service to make little prints and now books all without leaving the iOS environment. I was very happy with my little book part one of what I hope will be a four part series, one book of images per quarter, and perhaps a ‘greatest hits’ compilation at the end of the year. 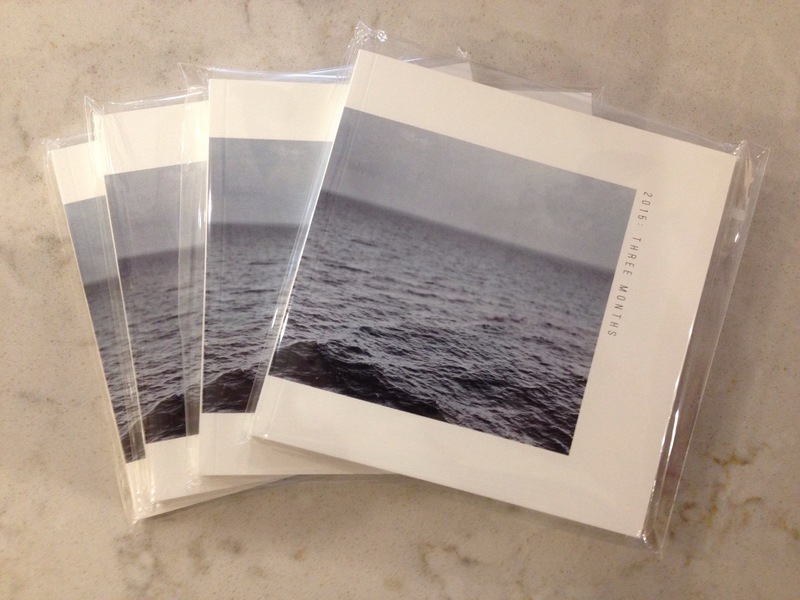 And perhaps I will pair the images with a collection of essays that describe the journeys and experiences and maybe make a slipcase to put them all in and, and, you know how it goes. I have to remind myself one step at a time. Small doable chunks. 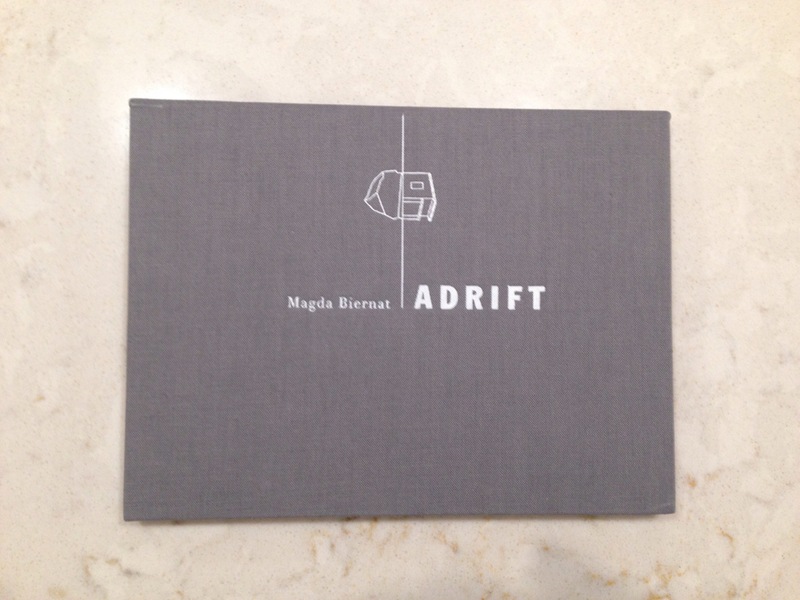 Around the same time I got my little book I got Magda Biernat’s little book ‘Adrift’. 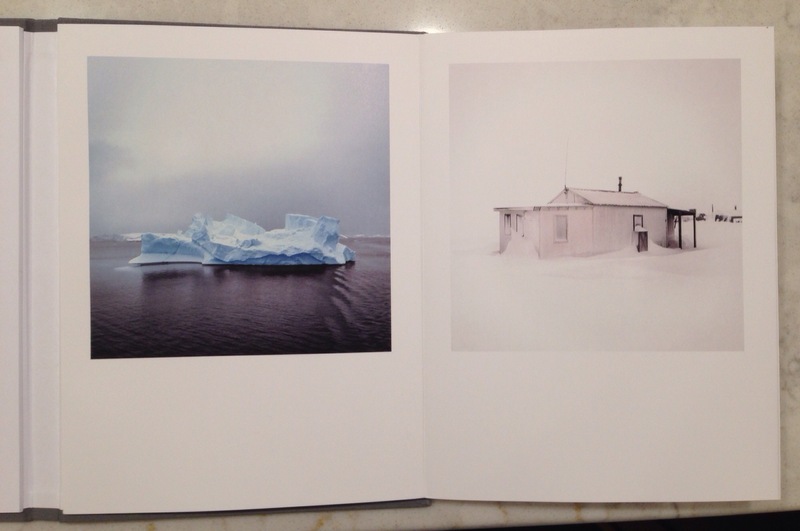 Biernat’s project Adrift begins a dialog about climate change in the pairing of images of icebergs in antarctica with abandoned hunting cabins of the Iñupiat eskimos in the Arctic. The natural and the man made are both adrift in increasing numbers as the poles warm, causing more icebergs to be cast off and the hunting cabins to be abandoned as the animals the subsistence hunters pursue either dwindle in number or their migration patterns change. What blows me away about the book is how creatively well done it is. There are a number of ‘what if’s’: What if we prepare the book as if it were a Japanese accordion book? What if we have the accompanying essays bound as a separate text block. What if the book opens on the horizontal, bottom to top, rather than the vertical right to left? All of which work and all of which serve to draw me in further. It’s worth keeping these things in mind when you’re working on your own book projects, perhaps using templates from some of the big on demand publishing services, that you’re getting locking into a standard format. How can you work within that box and yet break it so that you have something that better serves the work and that is uniquely your own. Daniel Milnor photographer at large for Blurb continually is pushing at the edges of what is possible with the Blurb format and is well worth paying attention to as you think about developing your own projects. It never ceases to amaze me how small our world now is. That we can easily get on a plane and travel to almost anywhere, even some of the most remote places in the world, is something that continues to fascinate me. Many of my photographer friends have been to the polar regions of the world, particularly Antarctica, and the discussion between them is when they are going to go back. Being in the presence of ‘big ice’ has yet to capture my imagination in a way that pulls me to the ends of the earth. Until the time that it does I’m happy to enjoy the work of photographers such as Camille Seaman who have spent time in these places. Camille is part Shinnecock Native American Tribe and is using photography to explore her connectedness with the world, which in many ways is an extension of the things that she was taught by her paternal grandfather. Her 10 years of visits to the Arctic and Antarctic have been collected into a book ‘Melting Away‘ that is well worth spending some time with. 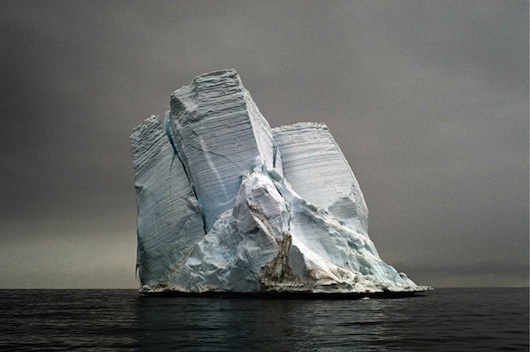 See Camille talking about her polar project ‘The Last Iceberg’ in the TED talk below. Also see Camille share a few few thoughts on her process as well as a longer talk that gives more detail on her background as well as her projects.